Uruguay's economy expanded 6.7% during the first nine months of 2007 compared to the same period last year, driven by the transportation and communications sectors, the Central Bank reported on Monday. 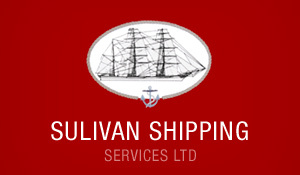 The first shipment of pulp from Uruguay's Botnia plant left Saturday from the port of Nueva Palmira with final destination Europe. 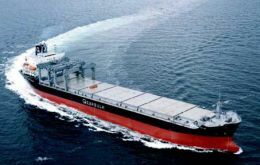 Swift Arrow and the Botnia produced 19.000 tons are scheduled to call into two Brazilian ports to complete the cargo. 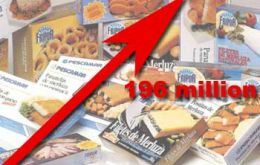 Uruguay fisheries exports in 2007 are expected to reach 196 million US dollars, according to the latest estimates from Daniel Montiel, head of the National Directorate of Aquatic Resources. Uruguay announced the re-purchase of up to 500 million US dollars in international and domestic bonds in an operation that seeks to reduce its foreign currency debt and extend maturities. An estimated 1.8 million tourists will have visited Uruguay in 2007, a figure similar to that of last year, with income in the range of 750 million US dollars. However prospects for 2008 are more encouraging given the increased connectivity of Uruguay in the region, said on Tuesday Deputy Tourism minister Liliam Kechichian. Uruguayan President Tabare Vazquez will be present at the taking office ceremony of elected Argentine president Cristina Fernandez de Kirchner in Buenos Aires next December 10 confirmed Uruguay's Foreign Affairs minister Reinaldo Gargano. The Uruguayan government decided Sunday to close the bridge that connects the city of Salto with Concordia after making a similar decision on Saturday regarding the bridge linking the cities of Paysandú with Colón in Argentina. 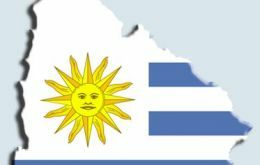 Regular New Zealand-Uruguay bilateral foreign policy talks and doubling the number of working holiday visas granted each year between the two countries have been announced by Prime Minister Helen Clark and Uruguay President Dr Tabare Vazquez today. 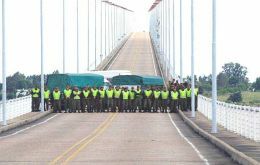 Uruguayan Foreign Minister Reynaldo Gargano yesterday ratified the country's decision to set up a border guard watch over the bridge joining the Argentine city of Gualeguaychú and the Uruguayan town of Fray Bentos. Uruguayan president Tabare Vazquez blamed Argentina's reluctance to end the pickets blocking access to bridges linking with Uruguay as the main reason for the collapse of dialogue and his decision to give the start up authorization for the Botnia pulp mill built along a river shared by the neighboring countries and which Argentina openly objects.